BRISTOL SHOW: Hot deals and discounts – last chance! | What Hi-Fi? BRISTOL SHOW: Hot deals and discounts – last chance! NAD and several other manufacturers are offering some tempting discounts on their hi-fi and home cinema packages at the Bristol Show. Today's your last chance to bag a deal! There are discounts on a wide range of products, and we've just spotted a couple more tempting offers from NAD, Arcam, Denon, Focal, KEF, Naim, Onkyo and Pioneer. If you go along to the NAD stand (Rome 3) you can pick up a complete NAD C315BEE/NAD C515BEE/Q Acoustics 1020i hi-fi separates system with 10 per cent off the RRP. 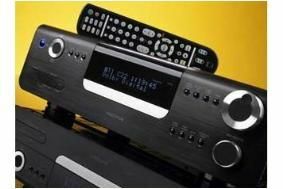 Don't forget that this is the system that we voted 'Best hi-fi system under £1500' in our January 2009 one-make system test. And the five-star NAD Viso Five (£995) is available as a package with the Q Acoustics Q-AV 5.1 system (£600) at a discount of 12.5 per cent. These and many more discounts will only be available for today, the last day of the show, so if you haven't already made the trip to Bristol hurry down!